A Belfast judge has warned that those involved in the drugs trade must expect ever increasing lengthy prison sentences. The warning came from Judge Patricia Smyth as she sentenced 41-year-old lorry driver, Paul James Hamill, to three years. Hamill was caught tranporting cannabis in February last year shortly after getting off the Larne ferry. In addition to those drugs Hamill told police of a lock-up where they uncovered another haul of cannabis and ‘speed’. The Crown Court judge said it was accepted that the drugs had a potential street value of between £600,000-£900,000, although Hamill, from Limefield Road, Moyraverty in Craigavon, was neither the owner nor beneficary of the drugs. It appeared that Hamill, who has a young family, was specifically targeted because he was a lorry driver and “took the offer of easy money when offered the opportunity from those higher up the chain”. Judge Smyth said while she accepted that Hamill was “deeply regretful and remorseful”, she told him that he had “played a role” in the drugs culture, in which “children and young adults, children like yours, are dying because of the drugs culture”. She added that the lives of some victims were “blighted by ill health”, robbing them of meaningful lives, and that the courts, almost daily, saw the effect that culture has had on others. However, Judge Smyth accepted that in Hamill’s case he was entitled to maximum credit for his guilty pleas and for alerting police to the lock-up of which they were unaware. A county Armagh haulage firm is to create a host of new jobs with the announcement of a £10m investment. 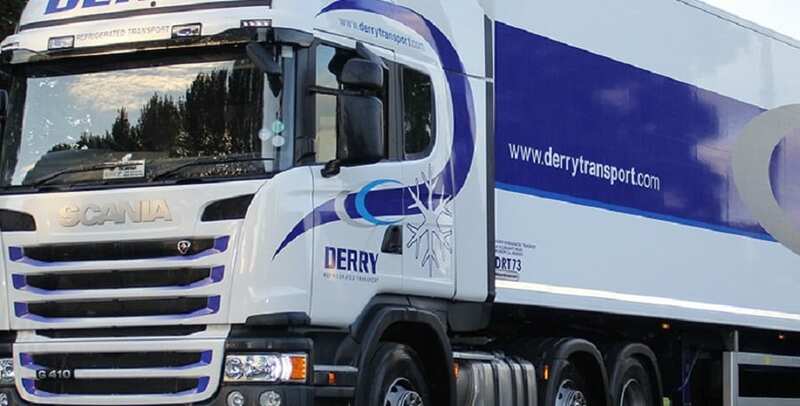 Derry Refrigerated Transport, in Portadown, is planning on building a on adding another base in the town. The company, set up by Patrick Derry in 1999, is currently based at Vicarage Road and employs around 150 workers. The new Charlestown Road will include an office, storage/warehousing and workshop buildings, HGV trailer parking and car parking. A company statement said: “Since inception, the company has become increasingly successful and has gained a larger stake in the local haulage market through an increased number of company clients. “Since 2013, the company has grown 67% and this period of growth has allowed DRT (NI) Ltd to increase both the number of HGV vehicles on the road, and company employees. “At present the company employs approximately 150 staff, and the investment and development of the haulage depot will lead to further expected job creation, both within the company itself and during the construction phase. “The company have recognised an increasing haulage requirement for chilled storage facilities. Police are investigating the theft of a lorry from a yard in the Monaghan Road area of Middletown, County Armagh, on Sunday 26 February.